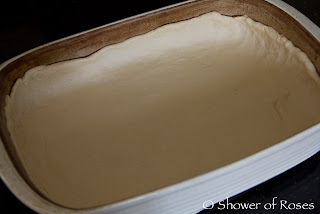 Place the dough in the greased pan, spreading it evenly along the bottom and halfway up the sides. 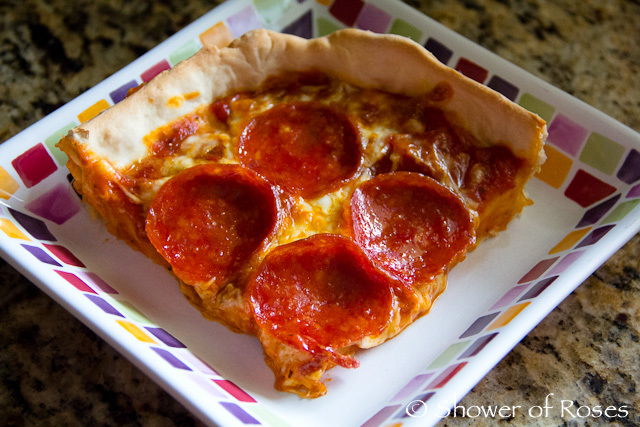 Spread the pizza sauce on the dough, sprinkle with shredded mozzarella cheese, and then top with pepperoni slices. Bake for 20 to 25 minutes or until the crust is lightly browned and the cheese is melted. 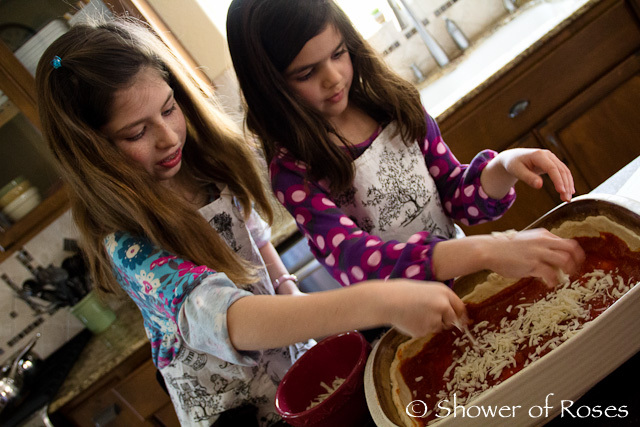 One pizza wasn't nearly enough for our family, so I helped the girls make two more! Yummm!! 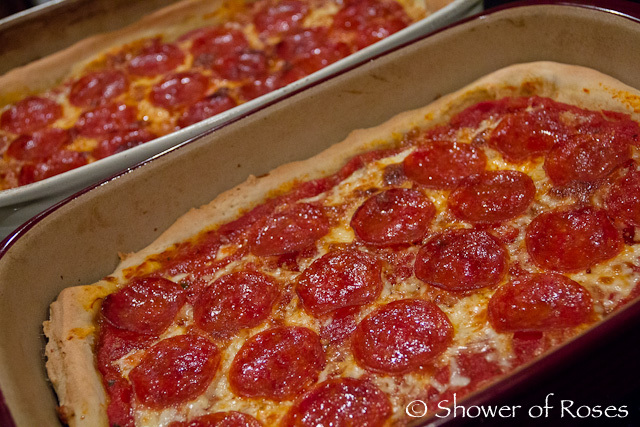 And, yes, I did eat some of this delicious homemade pizza... In fact, I didn't regret it for a second, at least not until I stepped on the scale this morning. 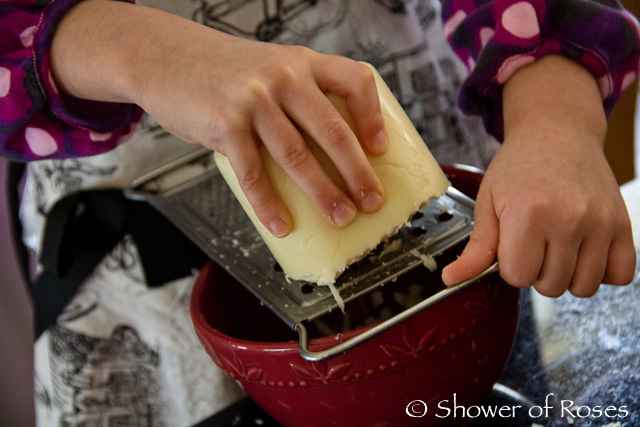 :/ Still, this recipe is a keeper! I think I am going to have the girls make it again, next time without the pepperoni and topped with lots of veggies instead for one of our upcoming meatless Lenten meals! Ooooooo that looks goooood! Thanks for sharing the recipe and great work girls! 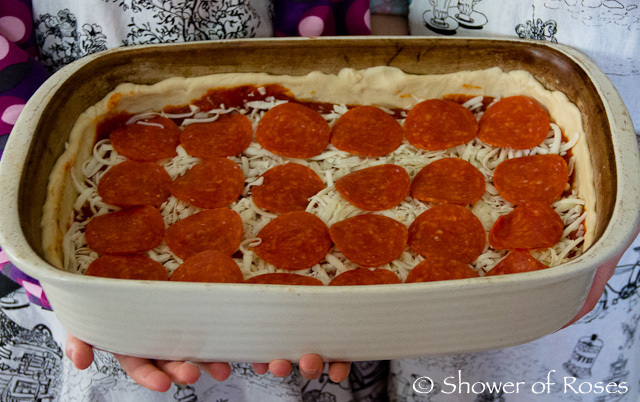 We've been wanting to try a deep dish pizza and this looks perfect. 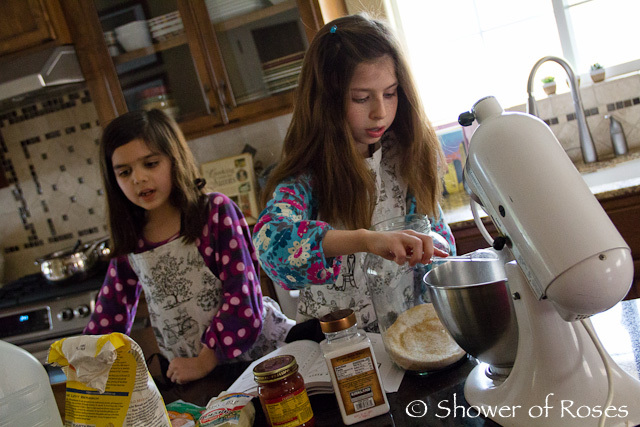 Jess, I love love love all the aprons you have for you and your girls. 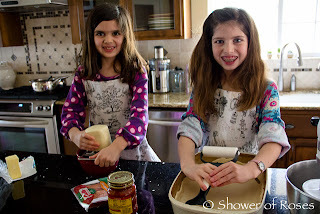 Could you tell me where you got the aprons that they are wearing in this post? I'm thinking some new aprons would make a nice "filler" for Easter baskets this year. Jessie Steele makes some really cute aprons and other kitchen accessories. We also have the Polka Dot Brown and Pink in both the "adult" and children's sizes. Hope that helps! YUM!!! That looks so delicious! I've enjoyed reading your posts about my home state! 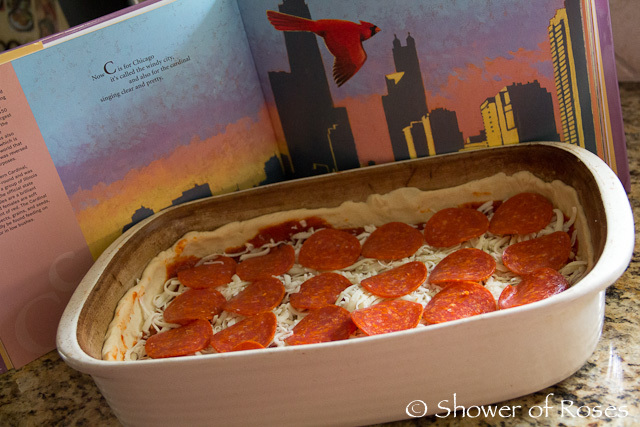 This recipe is my favorite deep dish recipe. Your post is making me want to make some right now. I think I will have to get the ingredients this next week. This looks so good! 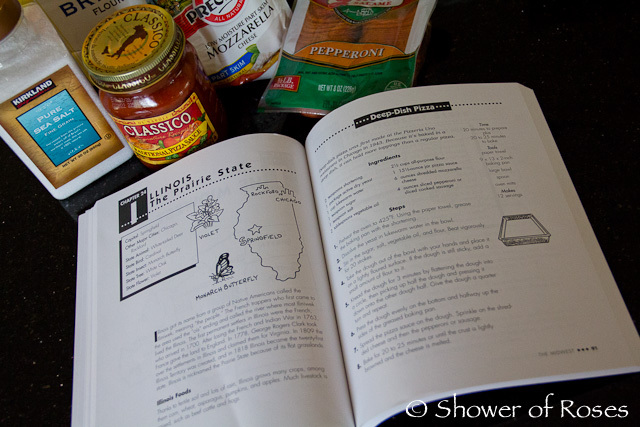 And I love the idea of deep dish veggie pizzas for Friday. makes me miss living in Chicago and all the yummy food. 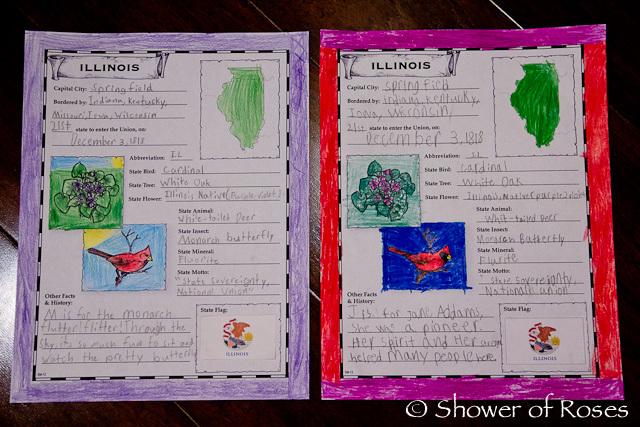 Do all of your kids enjoy lapbooking? We have two children. One loves lapbooking, the other tolerates it. Your kids do such a great job! 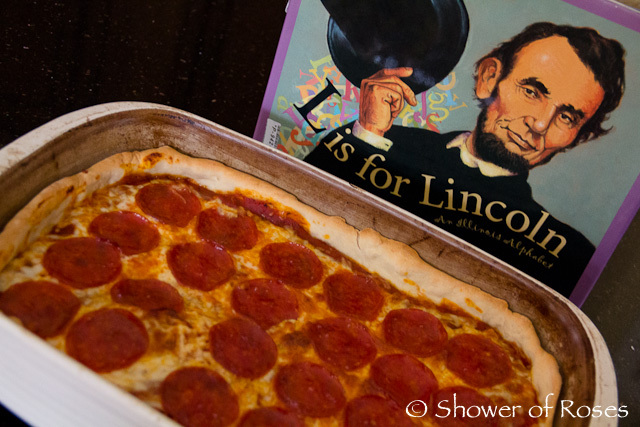 And the pizza looks delicious!